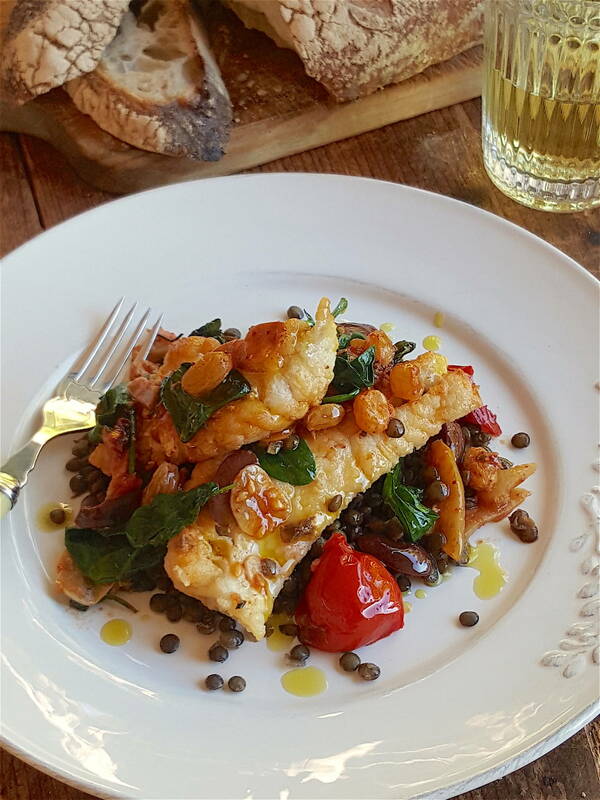 This dish is bursting with flavour and is the perfect treatment for less expensive varieties of fish. 1 Soak raisins in just-boiled water for 10 minutes, then drain. Rinse preserved lemon under running water, flicking out the pulp. Pat rind dry and slice thinly. 2 Heat extra virgin olive oil in a medium-sized pan over medium heat. When oil is hot, add tomatoes cut side down. Sizzle for about a minute. Add olives, garlic, rosemary, ginger, chilli flakes and drained raisins and chopped lemon rind. Cook for 2-3 minutes, tossing gently. Turn off the heat. 3 Heat olive oil in a pan over medium-high heat. Check fish for scales then cut each fillet into 3-4 pieces. Dust with flour and add to pan when oil is nice and hot. Cook fish without moving it around the pan and when it is nice and golden, turn pieces over and cook briefly, for 1-2 minutes (if you cook both sides of the fillets until golden the fish will be overcooked). Transfer fish to a warmed plate and season lightly with salt. 4 Gently reheat tomato and spice mixture. Add spinach leaves and let them wilt into mixture. 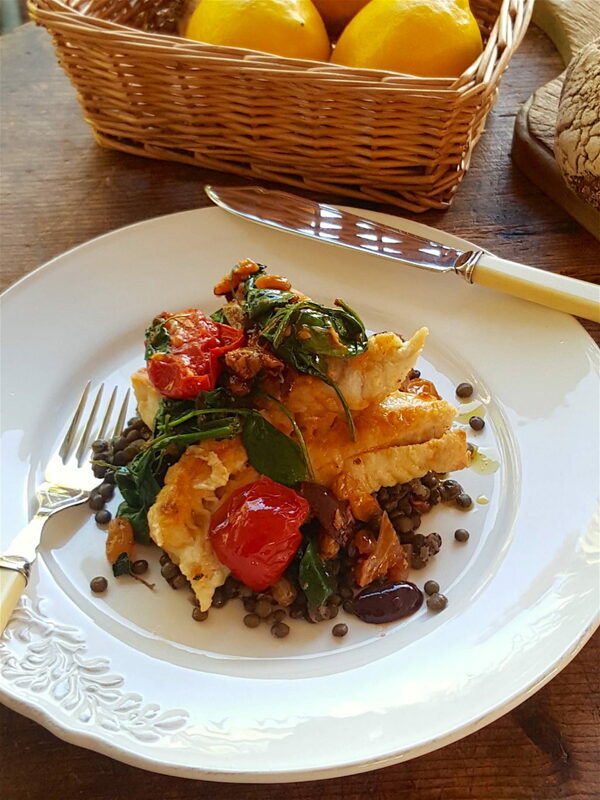 Dish fish onto lentils (if serving) and spoon tomato and spice mixture over the top. Drizzle with extra virgin olive oil and serve. Here's the biscuit for you when you want to add a touch of elegance to your next tea party. Serve with your best china teacups and teapot and make a proper pot of tea as an accompaniment. Garlicky green cashew sauce gives leftover chicken or roast vegetables another life!